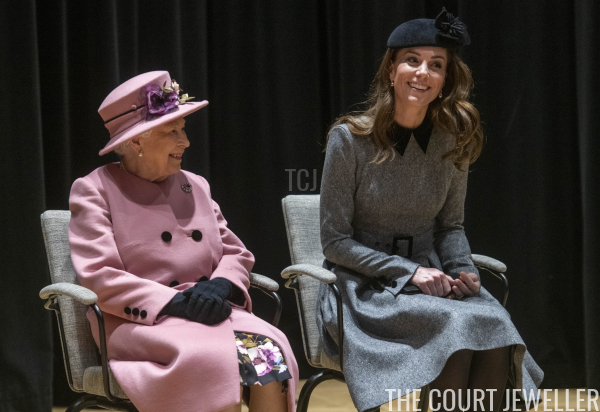 On Tuesday, the Queen and the Duchess of Cambridge joined forces for a visit to King's College London. 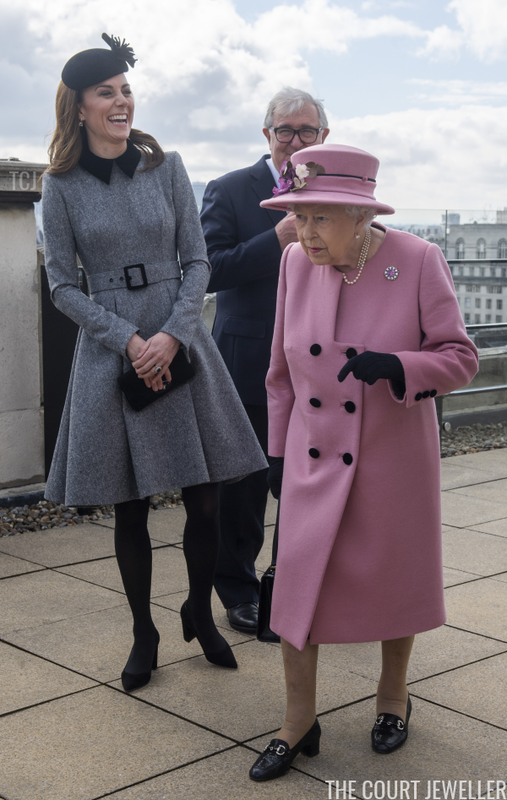 The two royal women officially opened Bush House, the latest education and learning facility on the college's Strand Campus. 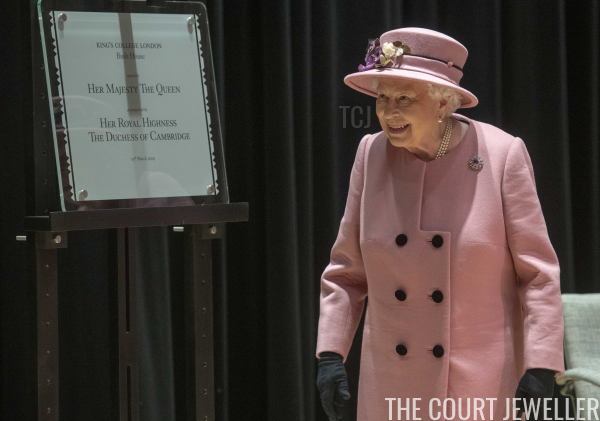 The Queen unveiled a plaque commemorating the royal visit during the official opening. 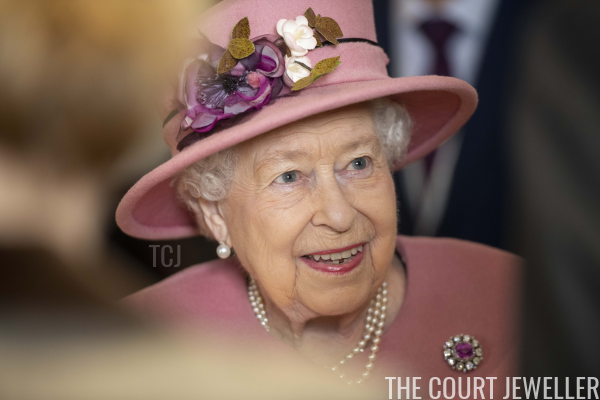 For the occasion, HM wore her small diamond cluster brooch with the pink gemstone center. The stone has been variously reported as a pink sapphire or a pink topaz. 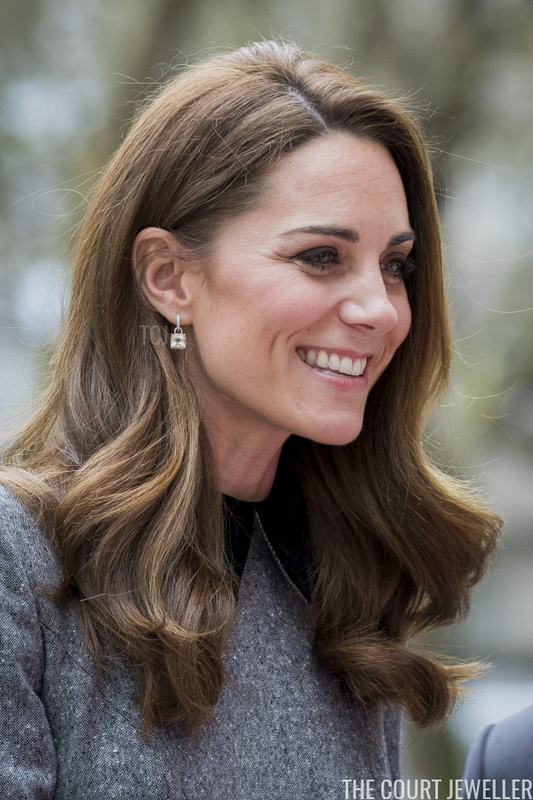 Kate also reached for pink gemstones for the day, wearing her Kiki McDonough hoop earrings with cushion-cut morganite drops. 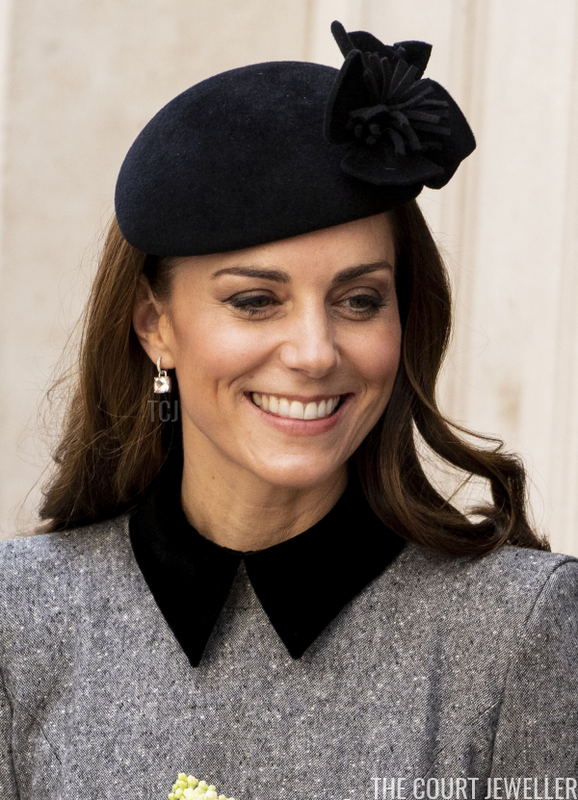 Kate wore the same outfit, including the same jewels, later in the day for a visit to the Foundling Museum, where young people are taught to use art in order to make a positive contribution to society. Kensington Palace announced on Tuesday that Kate is the museum's new royal patron. 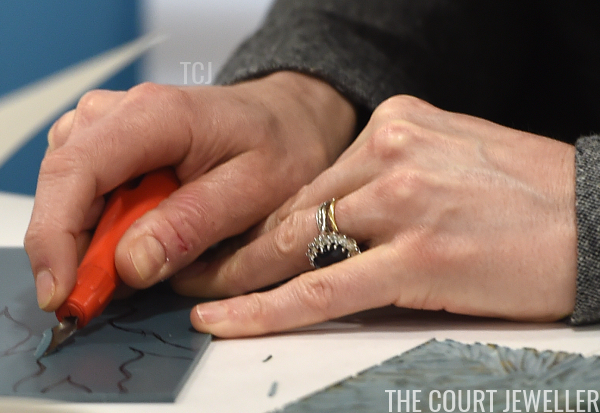 Kate joined in to create some art during her visit to the museum, which also gave us a chance to see her usual trio of rings -- her famous engagement ring, her gold wedding band, and her eternity band.